San Diego Carpet and House Cleaning Services! HomeSan Diego’s Best Cleaning Services! CALL US TODAY TO SCHEDULE YOUR CLEANINGS! Get a free estimate for all of our services! Get $15 OFF First Time Cleaning! Get 3 Rooms for $99 of Basic Carpet Cleaning! Windows $8 Each! Sliding and French Doors $12 Each! $15 OFF $100 of Power Washing! REFFERAL PROGRAM SEE HOW YOU CAN EARN CASH BACK! One coupon per visit per customer/household. Coupons not valid with any other specials. Minimum service required unless stated otherwise. We accept Mastercard, Visa and Discover. *Military and Senior Discount $10 Off. To remove the ash and dust in your home use hot soapy water and wipe down everything top to bottom. Using cleaners does not make it easier or quicker. Change your water often so you really remove all the ash and dust. Cutting Grease – Eucalyptus Essential Oil is the best for cutting grease. Add some to your natural all purpose cleaning solution; it works great on those grease rings around the tub. The next best thing for GREASE would be to try each of these oils to see which one would work best for your cleaning project tea tree oil, lavender, lemon, and orange. Orange Essential Oil works best on tough kitchen grease. Mold in Grout – Scrub grout with baking soda or Bon Ami, then rinse with some white vinegar and hot water. Dry completely and spray a mixture of 1part Tea Tree Oil to 5 parts water on areas that mold easily. This can help to prevent mold from coming back. Keep a small spray bottle of mixture in shower to use daily or when needed. Permanent Ink Marks – Try Cinnamon or Clove Bud Essential Oil. Test a small area first. Lavender Essential Oil is universal; it has all of the properties needed for cleaning. It is antibacterial, anti-fungal antiviral, and boosts the immune system. Most everyone can use it with no allergic reaction. If you are very sensitive to everything and are tired of having no smells around try a little Pure Organic Lavender Essential Oil in your cleaning products. See how that works for you. Please wear a mask and long gloves to protect you from the mold spores. Please note that none of these techniques will work as fast as Bleach. If you choose to use bleach, you can use bleach without chlorine. Non-Chlorinated bleach can be found at most grocery stores and health food markets. ECOVER brand (non-chlorinated bleach) is one that we use often for bathroom and kitchen cleaning. You can find this brand at most any natural food stores. To keep away mold and mildew change caulking in bathtubs and sink areas once a year. "I’ve been using EcoClean’s services for almost a year and they are great! Carrie is pleasant, responsive and service is always done with a smile. Their rates are competitive and I like that they use environmentally friendly products – especially the citrus cleaner that smells amazing!" "A housecleaner from Ecoclean services cleaned my house for the first time today. The house cleaner was punctual, which was amazing since we live off road on a farm. She was pleasant and very thorough in her work. No matter what I asked her to do she said she’d do it, and always with a smile. The price was exactly what I’d been quoted by the Ecoclean owner. I’m very pleased with the service and will use them on a regular basis. " 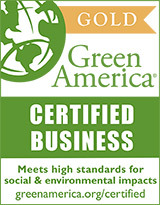 "Based on a glowing recommendation from a friend, I recently had my carpets cleaned by Ecoclean. I could not be happier! The carpets in my apartment are a decade old (at the LEAST) and they look practically new again. The cleaning was done over two weeks ago, and I haven’t seen one re-emerging stain (as has been my past experience with other companies). Not only am I proud to have hired an environmentally friendly & locally based company, I was delighted that everyone I dealt with, over the phone and in person, was courteous, friendly, & punctual. And the prices were totally reasonable! They are definitely my new go-to cleaning company, and the one I’ll recommend to friends (especially those with children or pets!) THANK YOU ECOCLEAN!!! "